Once there was a wise King. He had two sons. He appointed eminent scholars to teach them all arts. After a few years of teachings, the King fell ill badly. So, he wanted to select his next King for his Kingdom. He wanted to test his sons’ abilities. 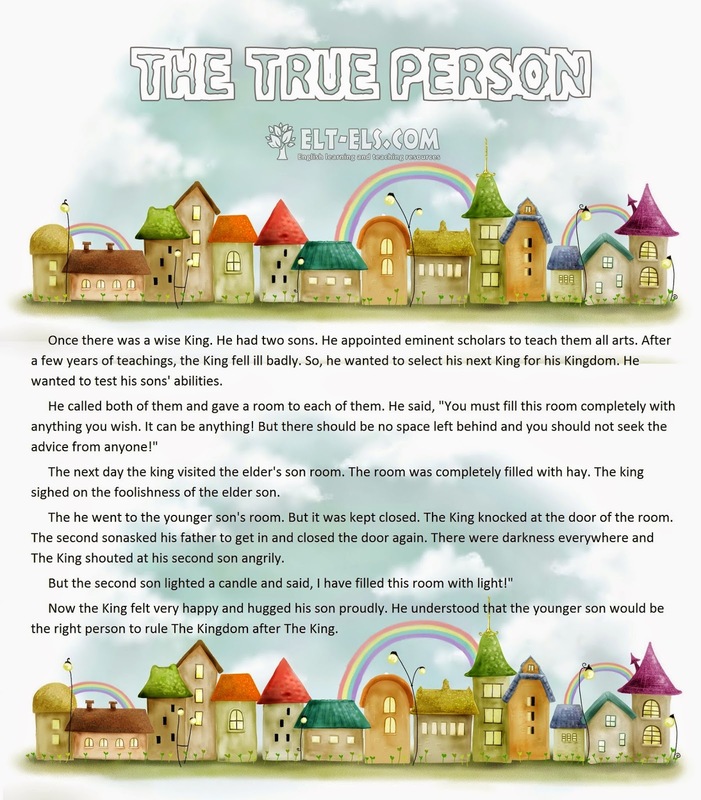 The next day the king visited the elder’s son room. The room was completely filled with hay. The king sighed on the foolishness of the elder son. The he went to the younger son’s room. But it was kept closed. The King knocked at the door of the room. The second sonasked his father to get in and closed the door again. There were darkness everywhere and The King shouted at his second son angrily. Now the King felt very happy and hugged his son proudly. He understood that the younger son would be the right person to rule The Kingdom after The King.